We are so excited to kick off a new project for Craft Hope and can’t wait to see the difference that we make around the world and in your very own backyard in 2011. This year we are going BIG. We really want to focus on the charities we help because although a project might end here at Craft Hope, their need does not. We hope to connect you to charities around the world that need you. We have seen it time and again. 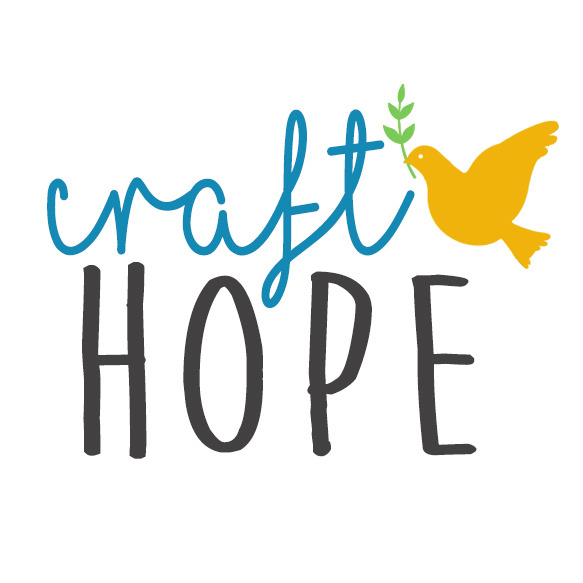 Craft Hope groups have been started worldwide and people have stepped up and have become instrumental in continuing relationships with the charities long after the projects have ended. Exactly a year ago this week, Haiti was hit with a devastating earthquake. The Craft Hope community rallied and sold handmade items donated by artists and crafters from around the world. In a few short weeks we raised over $35,000 for Doctors Without Borders in Haiti. You all heard a call, stepped up, and made a difference. Thank you. Truly, thank you. For our first project this year we are going back to Haiti. Project 11 will benefit Konbit Sante, a wonderful organization that has, for nearly ten years, worked to provide the education and resources necessary to improve capacity within the public health system of Cap-Haitien, Haiti’s second largest city. Even before the earthquake, Haiti’s health statistics were dismal, and now the need is even greater. Shockingly, one in eight Haitian children dies before the age of five, and their maternal mortality rate is 1,400 deaths for every 100,000 –a reflection of the fact that the majority of the population lives in poverty/on less than a dollar a day. Only one in every 10,000 Haitians has access to a physician. For the past three years, Konbit Sante has been spearheading a family planning and maternal health project in the most needy neighborhoods of Cap-Haitien that includes working more closely to support trained birth attendants (TBAs) who attend the vast majority of births in the community. They began supplying them with safe birthing kits to use in their deliveries. TBAs attend the vast majority of births in Haiti and have no formal medical training to speak of. The kits represent a “value added” component to their services, offer a measure of status, and are well received. There is ample evidence internationally that the kits can reduce infant and maternal mortality. When you simply need a clean piece of plastic sheeting, a clean piece of string, a new razor blade, an alcohol wipe, and hand sanitizer to save lives during delivery, it is humbling. When you can send a message of hope and solidarity with mothers in Haiti by including a hand made receiving blanket, it is empowering. We may not be able to change much about the challenging reality faced by mothers and children in Haiti, but we CAN do this. And it will matter. So for Project 11 we are going to provide safe birthing kits to Konbit Sante. This project will include some handmade items and some store bought. This is a great project for a group as many of these things are purchased in bulk. *** updated 1/16/2011 – We have received some great questions about the contents of the delivery kits. For more specifics about the contents, please go to this post where we have answered your questions. Konbit Sante is asking for pre-assembled birthing kits. You can buy the supplies (or request donations from local businesses), wrap them in the plastic sheeting, and put them all in a handmade bag. The receiving blanket and toy are optional, but are a very sweet touch that we hope you include. That blanket is the first blanket that sweet baby will be wrapped in. Both of these items are the handmade part of the birthing kits and show a little extra love for the newborn baby. This simple bag will save lives in Haiti, and making the commitment to creating it will add meaning to your own. When the need is so great and our own lives are so full, it is difficult to know where to start. The simplicity of this project gives us the perfect way to become involved–make a contribution to helping start out a baby’s life safely. The deadline for Project 11 is March 1, 2011.